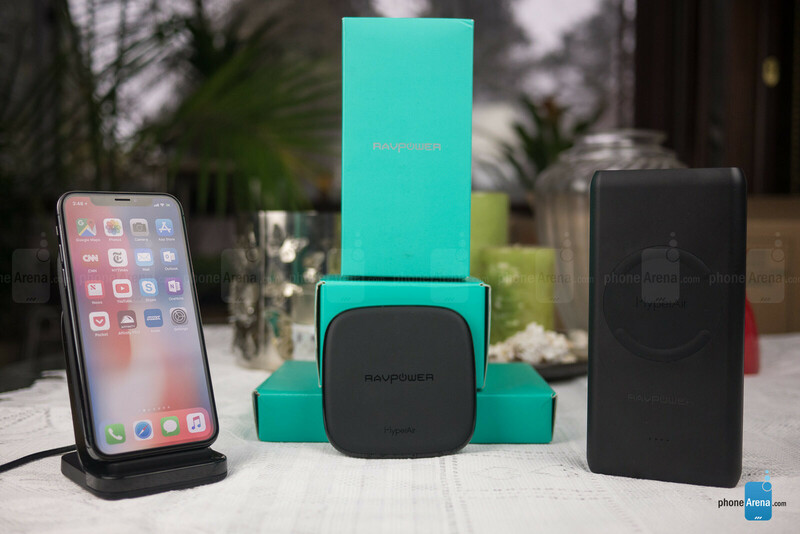 RAVPower is a name you might not be familiar with, but this mobile accessory manufacturer has plenty of 5-star reviews on Amazon.com and has garnered the distinction of “Amazon’s Choice” for many of its chargers, cables, and power banks. 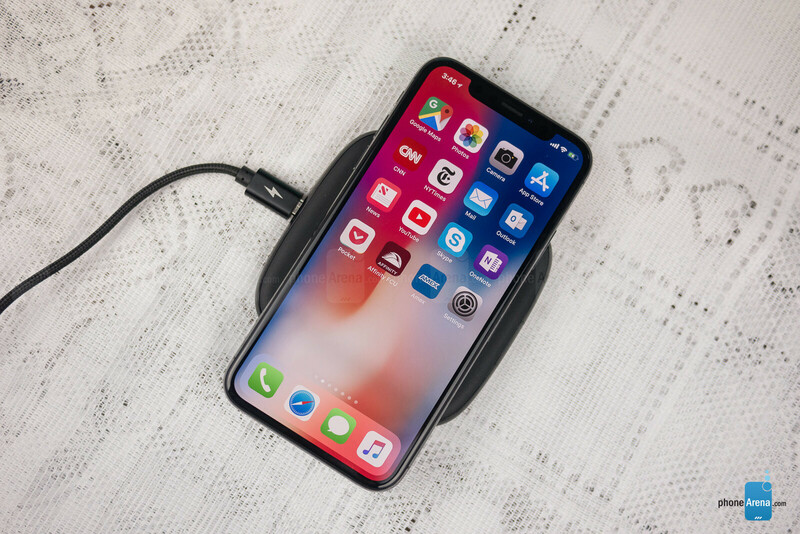 In this review, we'll introduce you to three of the company's devices: two charging pads and a wireless charging power bank, all from the HyperAir wireless charging series. This product line focuses on charging both iPhone and Android devices as fast as wirelessly possible, and we’re itching to see if these chargers live up to the hype. All of these charging devices are made of plastic, save for the aluminum bottom piece of the HyperAir Charging Pad – a seemingly inexplicable, but welcome change, given the plastic construction of the other two chargers. Build quality is a bit cheap-feeling; the power bank feels and sounds hollow, and the charging stand creaks something fierce – not to mention it feels like the charging pad is glued loosely to the stand. When it comes to wireless charging stands, pads, and power banks, you can certainly do better in terms of build quality, even at this price. Fortunately, durability isn’t a huge concern for such stationary devices, but in the case of the HyperAir Wireless Power Bank, we won't be surprised if it splits right open if dropped on a hard surface. All three of these devices have red and green indicator lights that flash or stay solid to let you know when your phone is charging or fully charged. They also sport micro-USB input ports through which they're powered, but the power bank comes with an extra convenient goodie: a microUSB to USB-C adapter. This can be placed on the end of a microUSB cable, transforming it into a USB-C one, meaning that you can use the same cable to recharge the power bank and to connect newer Android phones to it. The power bank can charge your phone wirelessly when it is placed on its rubberized charge pad. A lone standard USB port is also on board, along with a button that triggers a light indicator showing how much charge the bank has in it. The USB port supports RAVPower’s iSmart charging technology, which tailors the electrical current to the device you’re charging to ensure the fastest charge. We’re also thankful that the pad and stand come with both a micro-USB charging cable and a wall adapter, as some wireless chargers, even in this price range and above, only provide the cable. And using these bundled wall adapters with the stand and pad is highly recommended, as other chargers, including the iPhone's, just aren't powerful enough. The power bank only comes with the charging cable, so you'll have to use your phone's USB power brick to recharge it. A fast charger for the bank would have been nice having in the box. Charging coils on the charging stand are positioned in such a way that portrait and landscape charging is possible. In other words, you may use it to comfortably watch videos on your device as it charges. Charging phones is a pretty fool-proof process for most of us by now, and thankfully, using RAVPower's wireless charging stand does nothing to complicate this. You just place your phone on it and let technology do the rest. With the charging pad, you have to pay a bit more attention to whether your phone is precisely centered. If it is not, charging would still occur, though it might not be done at optimum speeds, as our testing indicates. Out of all three chargers, the power bank has the least tolerance for error, and unless your phone is aligned near-perfectly with its coil, charging may not begin at all. 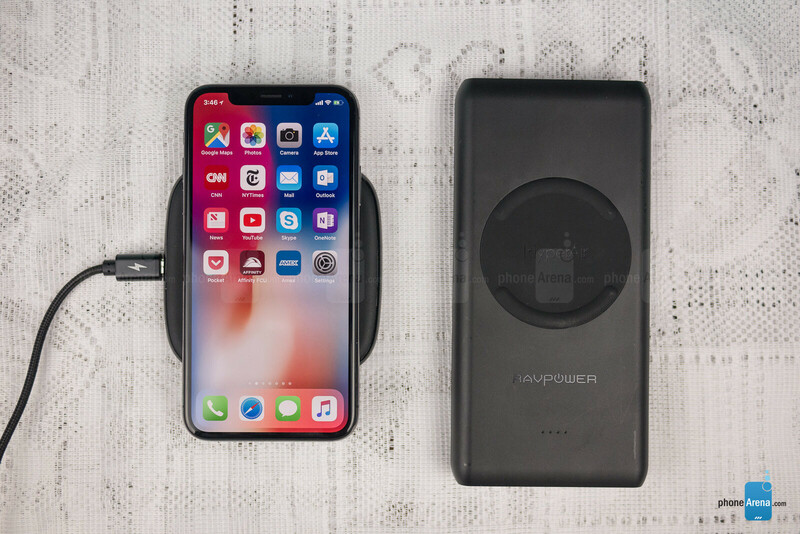 RAVPower’s HyperAir technology allows for charging iOS devices at 7.5 watts, while capable Samsung devices charge at 10 watts, with 5-watt charging being the baseline for Qi-enabled devices. But as convenient as wireless chargers may be, they may add to charge time, even with their fast-charging capabilities. That's because wireless chargers are both less powerful and less efficient than their wired counterparts. To give an example, a Samsung Galaxy S9 needs about 2 hours and 40 minutes to recharge with one of RAVPower's HyperAir wireless chargers, which is about 50 minutes longer than if you just use its wired charger. As for recharging our iPhone X, Apple’s stock charger and lightning cable take an excruciating three hours and nine minutes to recharge the phone, while the HyperAir Wireless Charging Stand, Pad, and Powerbank actually shave off a few quick minutes, clocking in at three hours and five minutes. 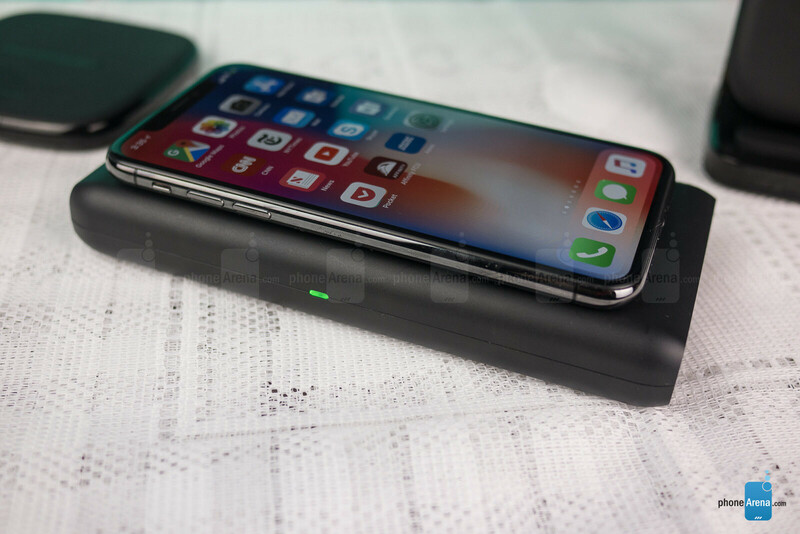 We should note that some phones do not support fast wireless charging with RAVPower's HyperAir chargers and charge at the slower, 5-watt rate. For instance, our LG V30 does support fast wireless charging, but through a different specification of the Qi standard, which is why it needs about two hours and 40 minutes to fully recharge wirelessly. For reference, a full charge using its wired charger takes about 1 hour and 45 minutes. Charging your devices is important – this much we know. The quicker the better, in most cases, but there is a convenience and coolness factor to simply laying your phone down to charge it, even if it does take a little longer. There’s also the added utility of having a stand which can not only prop up your device to watch media or serve as your alarm clock, but also charge it while doing so. And then there’s just the undeniable coolness of having a portable battery bank which you can rest your phone on to charge it! Now that’s pretty cool, and 10,400 mAh of charge capacity ain’t bad either. But if that's the charger you choose to go with, keep in mind that it's also the most finicky of all three. Sure, RAVPower’s devices may not be the most familiar, or necessarily the most beautifully and well-built, but they’re not the worst either. If you can get over that small concession, then the RAVPower HyperAir Wireless Charging Pad and Stand are good options. 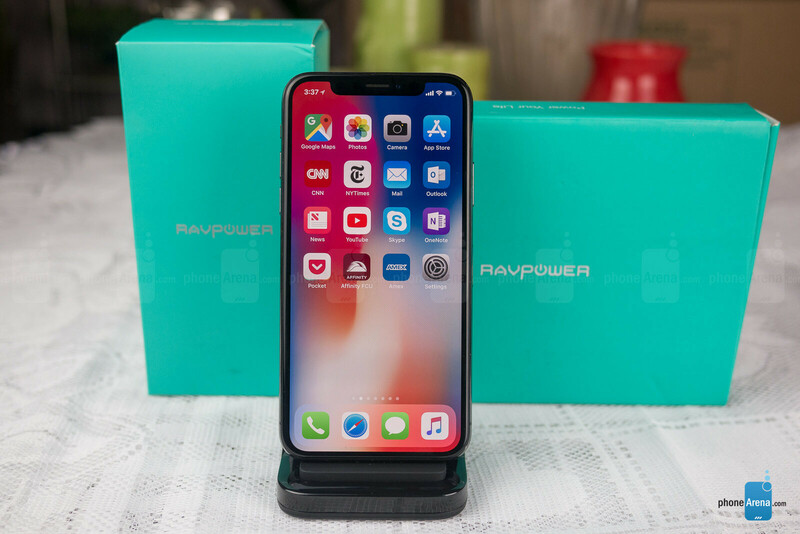 RAVPower's power bank is a bit tougher to recommend given its demand for more precise phone placement over its wireless charging pad, but it is still worth checking out for its coolness factor. All in all, these three will charge your devices with a bit of style – even if fast wireless charging can’t match cabled Quick Charge speeds on Android phones. As for iPhone users, you really don’t have anything to lose; it’s essentially the same charge, but wireless! Cool right? You can thank us later. 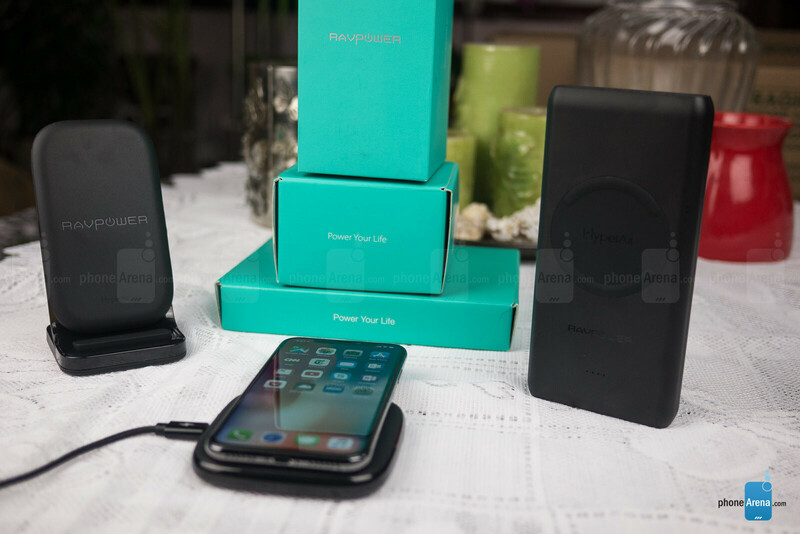 UPDATE (April 5, 2018): Soon after publishing our review we were informed that the three RAVPower devices reviewed here have not been certified by the Wireless Charging Consortium. What this means is that even though they use the Qi wireless standard, they have not been tested by the WPC for safety and reliability. We've reached out to RAVPower for comment. UPDATE (April 10, 2018): RAWPower has informed us that their wireless charging products are to receive their WPC certification at the end of April. Is there really $16 worth of extra plastic in the stand version?